FRIENDSHIP COMMANDERS SINGLES // "WOMEN TO THE FRONT" AND "SAW AND HEARD"! I'm behind on my updates! 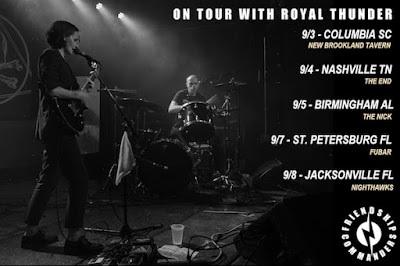 We were on tour with ROYAL THUNDER when "WOMEN TO THE FRONT" was released on September 6th, so it was all we could do to share it on the FC pages etc. And now today, our third and last single in advance of the BILL album is out; it's called "SAW AND HEARD." I'll talk about that in a minute. First: touring with RT ruled. They were awesome. It was awesome. We hope it happens again! Thanks to all who came out to the shows! Now, about "WOMEN TO THE FRONT"! The video was directed by Buick Audra; shot by Jerry Roe and Perry Bean! Noteworthy performances were contributed by Heather Donegan and Grant-Lee Phillips, among many others! Finally, about "SAW AND HEARD"! This was one of the first songs written for the BILL album, and many of you have heard us play it on the road over the last two years. It's near and dear to us; we hope you like it. The music was produced by Steve Albini and us. We made a lyric video for this one; please enjoy. 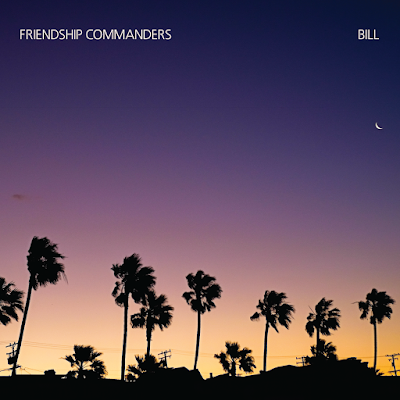 Thanks to everyone who has already pre-ordered the BILL album! I can't believe it will be actually be out in a couple weeks. Feels like a birth. If you want to order a physical or digital copy, the links are below. Thanks for your time and support! 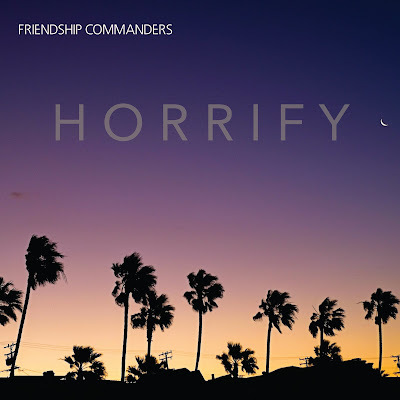 NEW FRIENDSHIP COMMANDERS SINGLE + VIDEO "HORRIFY" OUT TODAY! // PRE-ORDER BILL ALBUM! I'm thrilled to share the release date of the second album by Friendship Commanders, BILL: October 5th, 2018. We made this record with Steve Albini at Electrical Audio in Chicago IL. We're so proud of it and so ready for you to hear it. The first single and video, "Horrify," releases on all digital platforms on August 17th! There will be more to come between then and the album's release, so please be sure to follow, like, and subscribe to us wherever you get your music! Links below. The stunning album cover photo was taken by Zach Barocas; we love it so much. The design was done by Ric Simenson and myself. Love and thanks to all who came out to FC's Raise Your Voice shows last month! We had a terrific time - and we registered some people to vote. So, mission accomplished! We're grateful to the venues, promoters, organizations, bands, and friends who participated. Last, if you'd like to hear me chat with some friends about being in a touring band, being female in the heavy music scene, and assortment of other things, check out this episode of the Punching Out podcast. Thanks to Tom Messmer for asking me to be a part! I wish you a happy beginning of Summer. See you out there. First and foremost, I'm honored to be included in a two day event benefiting musician, father, and friend, Adrian Lemberger, this Saturday night, April 14th. Adrian has been fighting Acute Myeloid Leukemia since the end of last year, and this set of shows will directly benefit his recovery fund. The weekend-long event is at Bottom Lounge in Chicago and features some truly great musicians. It's a personal milestone for me, as I've not played a proper solo set since 2013. I'll be playing some songs from my solo catalog, a few from the Friendship Commanders catalog, and maybe some brand new work. I'm looking forward to it! On the subject of Friendship Commanders, we're heading out for a couple of shows at the end of this month, and then several more dates in May. We've curated a tour called RAISE YOUR VOICE in which we'll be visiting some of the states with the lowest voter turnout numbers in recent elections. We'll have voter registration materials available at every single show, both digital and hard copy. Also, we're playing with RED FANG in Nashville on May 4th. Hope to see you at some of the shows! To keep up with FC's dates, follow us on Bandsintown. News about when the FC Albini album will be released soon!